German car manufacturer BMW has recalled 1.6 million of its vehicles because of faulty airbags. The automotive giant has issued a worldwide recall of its 3 Series model this week because of the problem, with around 190,000 UK drivers likely to be affected by the news. 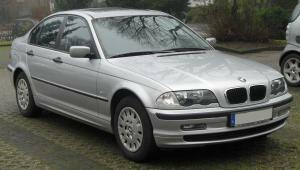 Specifically, the recall is targeted at the E46 3 Series built between May 1999 and August 2006 because of “potential problems with gas generators that may rupture”. When the world’s biggest car companies have to issue recalls it illustrates just how commonplace innocent mistakes can be within this industry. For that reason, it is a good idea that a business looks to include employer’s liability, public liability and professional indemnity cover as part of a holistic and comprehensive combined motor trade insurance policy; this will help ensure a company is not hit with huge costs should an unwanted incident take place. The recall follows a similar exercise completed last year in which 240,000 of the same model were brought into garages – these cars will not need to be taken back into a dealership, the company said. All those affected will be contacted by BMW and subject to a free, one-hour replacement service at their nearest BMW garage.